You can believe. Or you can burn. On a world of oceans and storms, where empires are won and lost in battles beneath the waves, a young man’s fascination for the sea should be a blessing. But Cathan’s world is ruled by the fire-priests of the Domain. His uncanny affinity for the sea is heresy. The magical gifts it conceals are heresy. He is safe only because his home is too small and remote for the Domain to have noticed him. So when the discovery of a vast iron deposit puts his city on the map, Cathan will discover the true price of heresy. The Domain wants the iron for the armies of the Faith, and they will do anything to get it. If Cathan can’t defeat the fanatical cleric Midian, his home will be seized, his people enslaved – and he, along with everyone he loves, will be tied to a stake and burned alive. 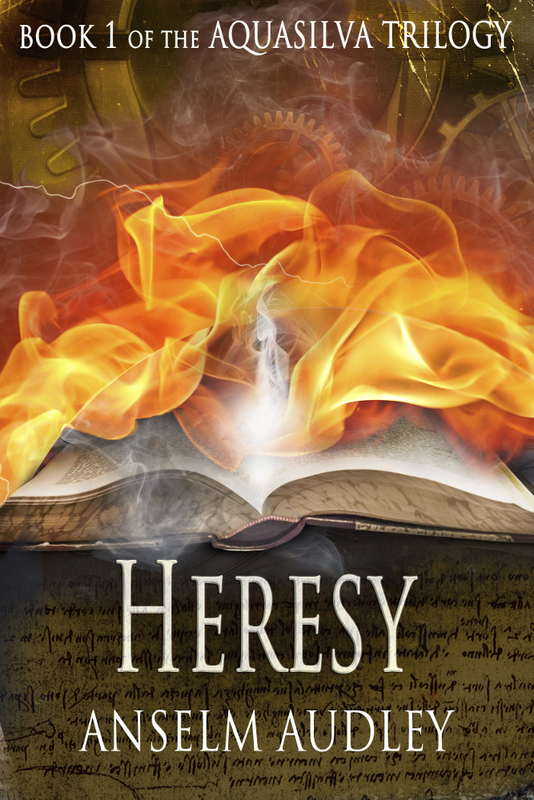 First in a science fantasy trilogy with echoes of Frank Herbert’s Dune, filled with strange machines and huge landscapes, Heresy weaves magic, science, and a war for souls into a coming-of-age story of adventure on an exotic world.